Almost all the ancient cultures depict this planet with wings…South America, Sumerians, Toltec, Aztec, Mayan, Babylon, Egyptian, Iranian. It takes an elongated elliptical orbit at a 33 degree tilt around the Sun every 3,657 years, when it returns it will pass in between Earth and the Sun. 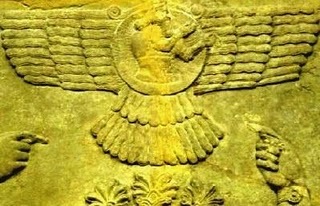 ~ "Nibiru with Wings"
The documentary can be viewed or downloaded in SD or HD on the BBC i Player on line, until 17 July 2012. It is called Ukraine's Forgotten Children, and features at 1 hour 11 minutes 55 seconds. I have also noticed the sun setting more towards the north on th﻿ horizon, what's up with that? I have a photo of it taken over the back fence. I use it as my avatar. Please see my video response. This is obvious NOT Nibiru as you can see from the still frame photos at 1:30that the object is reflecting the rays of the sun from the opposite side thus making this either Mercury or Venus. The object is NOT on the other side of the sun﻿ from Earth perspective. If it were, the whole side facing the sun would be visible from Earth! This is NOT the case. Object is obviously between the Earth and sun at 1:30 in the vid!. Doesn't take a rocket scientist to see this fact!!! Stop the fear mongering! We are very powerful beings with connected minds and ability to create our own reality.Spread the positivity, start Meditation Movement in your city, LIVE IN LOVE not﻿ fear, these beings cannot hide in a higher frequency worlds, say no to fear, LOVE and MEDITATE, respect Earth, animals, live free. Scenes from the motion picture “2012.” Courtesy Columbia Pictures. Remember the Y2K scare? Well then, let us plan for Nibiru! NASA knows this and this is why they have been sending up satellites. 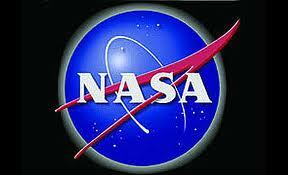 Have you ever noticed the LOGO of NASA? Yep, a Serpent tongue! France and Japan, along with NASA have been in a frantic frenzy to keep an eye on their “god”. Its approach will come from behind the Sun and then rise from underneath, then approaching from the South of Earth. In 2007, France and NASA announced the completion of the (SPT) South Pole Telescope in Antarctica in the Southern most regions of Earth. Is it a coincidence that all star/constellation software programs have this particular area cut out completely? 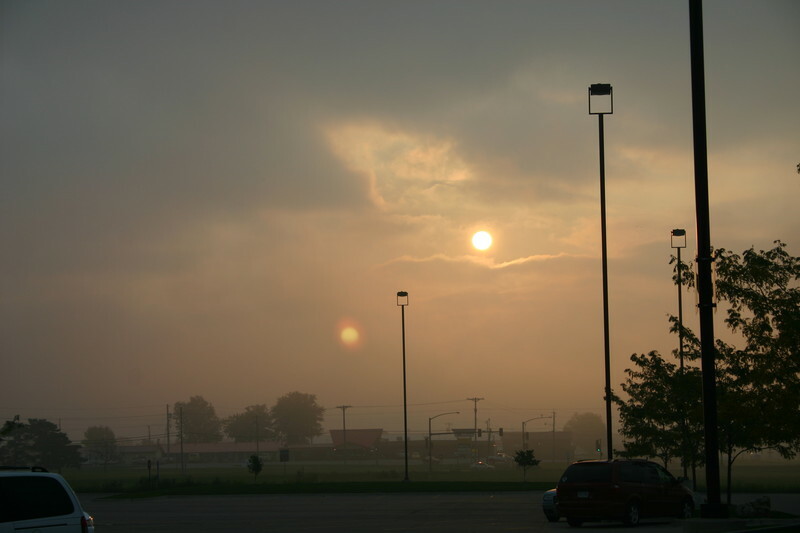 Nibiru will appear in a shape of a cross when it becomes visible to the naked eye! Don't Tread On Me 2012: The Elite Deadline and the Coming World Economy Crash: My Government Education with a Spook Known as "The Clown"
The War on Terror, widespread Government Corruption, the Systematic Erosion of our Liberties, Economic Collapse, Climate Change, Ancient Prophecies coming True...these are just a few of the signs of the times we are living in. And in this wide ranging account told through the True Story of his own persecution at the hands of Illegal Government Programs, Dante Kali Das shows how each person is part of a gathering storm that will culminate in a final consolidation of World Power, by the "Elite": those within Government and Corporations who consider themselves "Above the Average Citizen". A final consolidation of World Power in the near future, IF ordinary citizens do nothing to change things for the better. Dante Kali Das points out "What is Wrong", and offers a Positive Message and Solution, for "How to change Things" for the better. Not simply a "Book of Doom and Gloom" but a Message of Self-Empowerment for the Individual, and Masses, as well. A message of UNITY. As a result of being Framed and Persecuted by Government Agents involved in Government Programs known as COINTELPRO and "Mobbing" (Street Theater), Dante Kali Das puts his "Observations of Government Agent Tactics" to good use, showing us how the World around Us, differs underneath the surface. Like a Detective, with Insider Knowledge, Kali Das puts pieces of many different puzzles together, to show us a Bigger Picture that is being "Woven and Put Together" by these Elite. Terrorism as the new Red Scare, and how it is used for the same purposes. Guantanamo Bay as a test case for Legitimizing Torture and for establishing Concentration Camps. The PLANNED COLLAPSE of the U.S and World Economies in 2011 or 2012. The Elite's fears and plans to Shut Down the Internet and to completely change it, because it has brought "Unity of the People around the World". The threat from Governments Hidden Technologies, Electromagnetic Technologies, with a very easy to understand explanation in Layman's Terms, of "What this Technology Is", with examples from the Public Sector which point to a far more sophisticated version, which the Governments have. Also "How this Exotic Technology is Heavily Misused", Tactics used with this Technology, and Plans to Misuse it in the near future to "Convince the Masses" of a False Messiah: one commonly known as the "Anti-Christ" or Dajjal. The manipulation of the weather, a simple explanation of "Weather Systems", and the Misuse of Exotic Technologies to "Convince and Sell the Masses" the idea of Climate Change and the idea of "Ancient Prophecies coming True". A chapter on the "Science behind Prophecies", how they work, their intention and meaning, and how the Elite plan to Misuse Prophecies for Hiding Their Actions and Plans: "How" the Elite plan on Fulfilling Prophecies with, and by way of, Exotic Technologies. The Patriot Act and other Illegal Laws and Acts, which are about Targeting Patriots, and all those in the World against a Corrupt System: Corrupt Programs put in place for protecting Corrupt People, and for Creating a Corrupt World. Also a chapter on what Astronomers call "Local Fluff" and the "Space Ribbon": an explanation for the Magnetic Poles moving, and an explanation of what many call the "Photon Belt", and what others refer to as the "Rapture". An explanation of "Why" 2012 is being "Sold to Us", and the Science and Astronomy behind the Elite's Reasons for putting Plans into place, in 2012 or early 2013. An "Insider" with an "Insiders Knowledge", a man who sees not just "The Movie", but who like a Producer or Director, sees "How the Movie is Made". The result of almost twenty years of being within an Illegal Government Program, and specifically the result of "Learning from Observation and Experience", the Tactics, Psychology, and "Mindset" of a Corrupt and Dangerous Government Agent, known as "The Clown". The Elite Deadline and the Coming World Economy Crash: My Government Education with a Spook Known as "The Clown"
A recent report highlights the connection between food price increases and social unrest. In August 2011, Marco Lagi, Yaneer Bar-Yam, and K.Z Bertrand released a report through the New England Complex Systems Institute(NECSI). The report, "The Food Crises and Political Instability in North Africa and the Middle East," reveals a link between the background trend of rising global food prices and riots around the globe using data from the UN Food and Agriculture Organization's (FAO) Food Price Index. "When you have food prices that peak, you have all these riots. But look under the peaks, at the background trend. That's increasing quite rapidly, too," said Yaneer Bar-Yam, president of NECSI, in an interview with Wired Science. "In one to two years, the background trend runs into the place where all hell breaks loose." Social unrest, the NECSI report explained, often reflects severe cases of poverty, unemployment, and injustice. 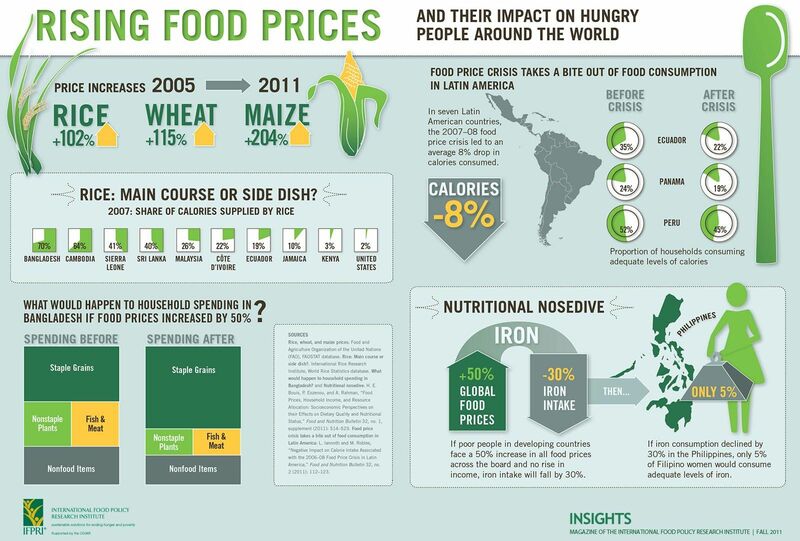 While food prices might not be the primary cause of protests, it provides a platform for populations to revolt. How many Temples did Ezekiel prophesy? When and where is the 'Fourth Temple'? updated version w/shortened opening segment; corrected pronunciation of "Zerrubabel"; reference change to Luke; correction to "position". Jerusalem, a mosaic of different peoples, faiths, and nationalities. Jerusalem is a city that works. But has it always been this way? People have had their eyes opened to corrupt or false religion. Sadly however, people have chosen to "throw the baby out with the bath water". True religion is out there but it is YOUR RESPONSIBILITY to find it. Jesus was our example for our conduct. He never started any wars - in fact he said to love each other. Global Rumblings: Timebomb - Temple Mount?